Earlier this month, Facebook announced that all pages will be automatically converted to timeline by the end of March 2012. Reports suggest that 1 in 3 brands have converted to timeline already. In case you haven’t jumped on the bandwagon yet, here are all the tips you’ll need to set up timeline for your Facebook page. 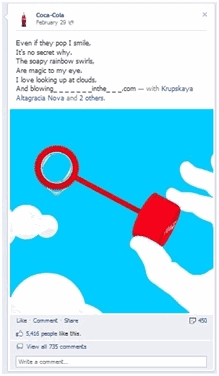 Cover Photo – The most noticeable feature of timeline is the cover photo. Facebook recommends brands to use an image that captures the essence of the brand. Choose an image (dimensions of 851×315 px) that is easily identifiable with your brand. You cannot use a photo which gives out contact details or has a call-to-action like “like us or share our page”. Profile Picture – This is the where you should put your brand’s logo image. Unlike the previous version of fan pages, the display size of the profile picture cannot be varied. Message Button – This allows users to send direct messages to the brand. It will be interesting to see how fans and profile managers handle this new feature. About Section – The about section should have details about your business, contact details and links to your website. A snippet of the about page is located just below the profile picture. The page admin can add additional info of the brand by clicking on the “about” link. Custom Applications – Customize your profile by adding upto 12 tabs to your profile. The tabs can contain apps, photos, videos, no. of likes, map etc. The icons have the dimension of 107x70px. You can select the order of display of the tabs. Since so many changes have been rolled out at once, it is difficult to predict how the user functionality will turn out. Ask your app developer to refer to Facebook guidelines before developing custom applications for your profile. Friend Activity – This section displays all the friends of the user who have liked the page. This not only helps build confidence, but also creates a personal connects with the user. Posts – All posts are displayed in rectangular boxes. Images and videos can be seamlessly added to each and every post. This is the essence of timeline. All posts look like rectangular boxes. Each “post box” has a like button, share and comment box. Posts in timeline can even be “highlighted” to cover the entire breadth of the profile page. Milestones – Last but not the least, Facebook has introduced the concept of milestones. With this feature, organizations will be able to post stories dating from 1000 A.D till present day! Many organizations have used this feature to create an online diary of the all major events of the brand. They have added posts with photographs, videos and press releases dating back to day the brand was founded. It is evident that this is a big step by Facebook. Facebook as a company has been phenomenal in the last few years. It is changing the way we use the internet. With this latest update, brands and customers have got the opportunity to be social like never before.